The International Journal of Neonatal Screening (IJNS) is the official journal of the International Society for Neonatal Screening (ISNS). IJNS is also the official journal of the German Society for Neonatal Screening (DGNS). IJNS aims to improve the knowledge of the natural course of target diseases for newborn screening, as well as the knowledge about methods used in newborn screening laboratories. IJNS also seeks to improve the communication between newborn screening laboratories worldwide, and to distribute technical notes and improvement of existing screening methods and assays. IJNS is a peer-reviewed open access online journal, which will serve as the unique and universal platform for all newborn screening relevant topics of interest to: pediatricians specialised in inborn errors of metabolism, pediatric endocrinologists, pediatric pneumologists, pediatric immunologists, clinical chemists, biochemists, molecular biologists, geneticists, genetic counselors, neonatologists, public health authorities & specialists. Full instructions to authors are available online here. 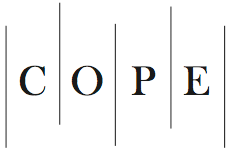 IJNS is a member of the Committee on Publication Ethics (COPE). MDPI takes the responsibility to enforce a rigorous peer-review together with strict ethical policies and standards to ensure to add high quality scientific works to the field of scholarly publication. Unfortunately, cases of plagiarism, data falsification, inappropriate authorship credit, and the like, do arise. MDPI takes such publishing ethics issues very seriously and our editors are trained to proceed in such cases with a zero tolerance policy. To verify the originality of content submitted to our journals, we use iThenticate to check submissions against previous publications. MDPI works with Publons to provide reviewers with credit for their work.